Elvis Presley, at the age of 13, moved with his parents from Tupelo, Mississippi to Memphis, Tennessee. The first ‘teen idol’, Frank Sinatra was at No.1 on the UK singles chart with ‘Three Coins In The Fountain,’ the singer’s first UK No.1. The song was The Academy Award winning Best Original Song of 1954. 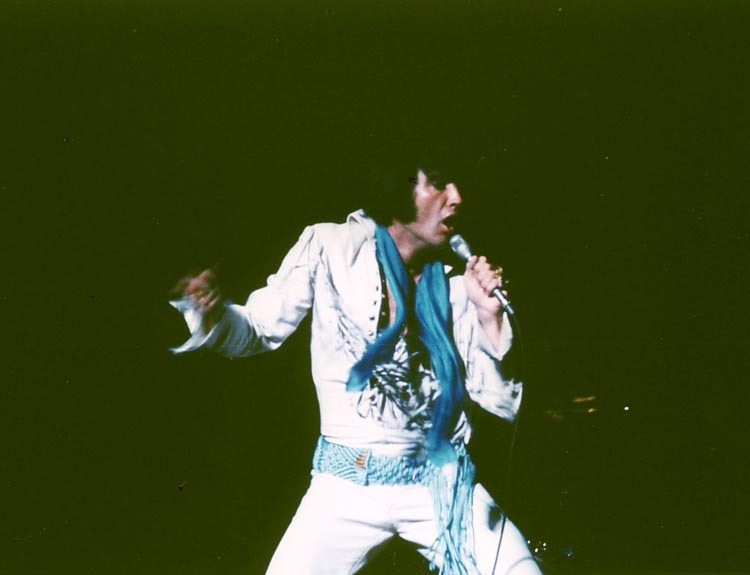 Elvis performed at the City Auditorium, Norfolk, Virginia. There was an announcement by the police chief of San Diego; if Elvis ever returned to his city and performed in the way he did in the spring, Elvis will be jailed for disorderly conduct. Elvis Presley : September 12, 1957 : Little Shamrock Cafe, Cleveland. Elvis called Scotty to talk about his resignation and Bill’s. Elvis asked what he had to do to get them both back. Since Scotty had a lot of debts, he asked for a $50 per week raise and an amount of $10,000 at once. 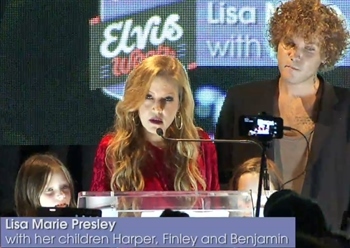 The Presleys lived at Graceland. Elvis and Juliet Prowse, costar in G.I. Blues, attended a special screening of the movie. Hal Wallis’ assistant called it “a howling success”. The Beatles were at No.1 on the UK singles chart with ‘She Loves You’, the group’s second No.1. It became the biggest seller of the year and the biggest selling Beatles single in the UK. The Supremes, Marvin Gaye, the Shangri-La’s, Dusty Springfield, the Ronettes, Millie Small, the Temptations, the Miracles, and Little Anthony and the Imperials shared the stage at the Fox Theatre in Brooklyn, New York. The Monkees television show premieres on NBC. Producers Bert Schneider and Bob Rafelson decided to emulate the zany, madcap humor of the Beatles’ A Hard Day’s Night for the small screen. When they placed an ad in Variety for four Folk and Rock musicians to appear in a TV series, over 400 applied for the job, including Stephen Stills, John Sebastian, Harry Nilsson and Danny Hutton (later of Three Dog Night), but as it turned out, only one of the four winners, guitarist and songwriter Michael Nesmith, actually saw the ad. Micky Dolenz (who would play drums), Davy Jones (who would sing), and Peter Tork (bass) found out about the opportunity from other sources. Nesmith and Tork had experience in the Folk scene; Dolenz and Jones were primarily actors, although Nesmith and Jones had already made some obscure solo recordings. Some have claimed that Charles Manson also applied, but he was in prison at the time and would not be paroled until March 21, 1967. The series ran for a total of 58 episodes. “The Roger Miller Show” debuted on ABC-TV. The series lasted for 16 episodes. Filming continued for The Beatles Magical Mystery Tour. The bus headed for Widecombe on the Moor, where a local fair was being held but the bus driver (Alf Manders) took a shortcut to bypass heavy traffic and ended up stuck on a bridge, the coach ended up having to drive in reverse for a half-mile before it could turn around. They then head for Plymouth, followed by a 20-car convoy of journalists and photographers. In Memphis on September 12, 1967 roughly four weeks before heading out to Hollywood, to film Stay, Away Joe! Elvis returned from Las Vegas to Los Angeles, before he went to Palm Springs for a week. Bob Dylan joined Joan Baez, Pete Seeger and Arlo Guthrie at the Woody Guthrie Memorial Concert held at the Hollywood Bowl in Los Angeles, California. Elvis performed at the Miami Beach Convention Center, Miami Beach, Florida, at 3.00 and 8.30 p.m. 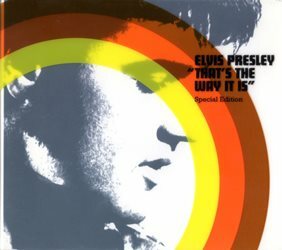 The Elvis Presley single “Way Down” was certified gold by the RIAA. In Kansas City, Queen performed at Kemper Arena. 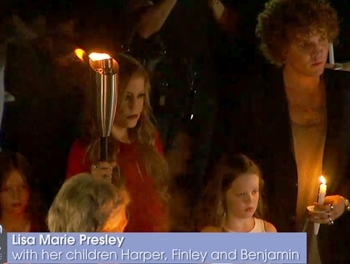 An in-depth report on the death of Elvis Presley aired on ABC-TV’s “20/20”. It raised so many unanswered questions that the official case concerning Elvis’ death was reopened. The Elvis Presley boxed set “Peace in the Valley – The Complete Gospel Recordings” was released on LP as a limited release and then generally as CD set. It was all the gospel, but not Christmas recordings, which would be the actually complete set. Elvis’ christmas catalog is re-issued annually with track lists blurring his original 1950s with the later 1970s seasonal recordings of the gospel genre of music. Johnny Cash, “The Man in Black” who became a towering figure in American music with such hits as “Folsom Prison Blues”, “I Walk the Line”, and “A Boy Named Sue”, died at the age of 71. During his career, Cash won 11 Grammys, most recently in 2003, when “Give My Love To Rose” earned him honors as Best Male Country Vocal Performance. He also notched fourteen number 1 Country music hits. He was elected to the Country Music Hall of Fame in 1980 and inducted into the Rock and Roll Hall of Fame in 1992. Two of his most popular albums were recorded live at Folsom Prison in 1968 and at San Quentin in 1969. Many people wrongly thought he had served prison time himself. He never did, although he did spend the odd night in jail during his youth and battled addictions to pills on and off throughout his life. Elvis attended Jim Ed and Maxine Brown’s parents 25th wedding anniversary party in Gladewater, Texas. 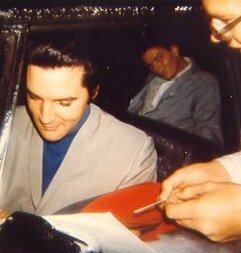 A Washington D.C. DJ, Bob Rickman, creates the Society for the Prevention of Cruelty to Elvis Presley. Much of the national coverage of the singer has been critical, as evidenced by the many headlines which refer to him as a hillbilly as well as being a threat to society. 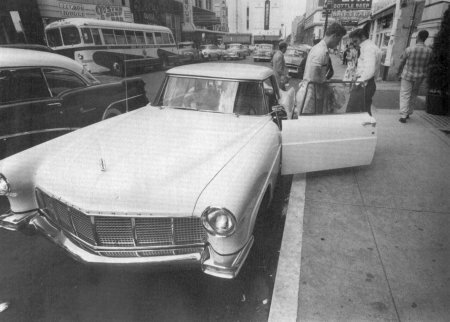 Back in Memphis Elvis was spotted at a service station in his new Lincoln. Elvis received a phone call from James Savery about plans for the Elvis Presley Youth Center in Tupelo. Elvis did a concert and raised $10,000 in funds and it was never built. While resting at his Graceland home after visiting his mother at a Memphis hospital, Elvis Presley receives a call from his father, telling him that his mother has passed away. At Owen Bradley’s Quonset Hut studio in Nashville, Johnny Cash, backed by the Anita Kerr Singers, recorded “The Rebel-Johnny Yuma,” “The Little Drummer Boy,” “I’ll Remember You,” “Lorena,” “The Ballad Of Boot Hill,” and “Remember The Alamo.” Elvis Pal Nick Adams was tv’s Johnny Yuma on The Rebel. Wanda Jackson‘s “Right Or Wrong” enters the Billboard Pop chart on its way to #29. She would follow it with the #27 hit, “In The Middle Of A Heartache” next November. Follow That Dream Filming resumed in Hollywood. Unhappy with drummer Pete Best’s role in The Beatles Brian Epstein and the other three members decided to sack him. Best played his last gig the following night at The Cavern, Liverpool. Ringo Starrwho was nearing the end of a three-month engagement with Rory Storm & the Hurricanes at a Butlin’s holiday camp received a telephone call from John Lennon, asking him to join The Beatles. Ringo gave Rory Storm three days notice and on August 18, appeared as a member of The Beatles for the first time. John Lennon later admitted to the group’s “cowardly” handling of the event. US singer Johnny Burnette was killed in a boating accident on Clear Lake California, aged 30. His unlit boat was struck by an unaware cabin cruiser, the impact threw him off the boat and he drowned. Burnette scored the 1961 US No.8 & UK No.3 single ‘Your Sixteen’. At Studio 50 in New York City, the Beatles taped performances for CBS-TV’s “The Ed Sullivan Show.” They did six songs: “I Feel Fine,” “I’m Down,” “Act Naturally,” “Ticket to Ride,” “Yesterday,” and “Help!” The tape aired on September 12, 1965 and marked their fourth appearance on the program. Sonny & Cher started a three week run at No.1 on the US singles chart with ‘I Got You Babe’. Sonny Bono is said to have been inspired to write the song to capitalize on the popularity of the term “babe,” as heard in Bob Dylan’ss ‘It Ain’t Me Babe’. 25 year old Charles Fizer of the R&B vocal group The Olympics was killed during the Watts Riots. The group reached the US Top 10 in 1958 with “Western Movies”. 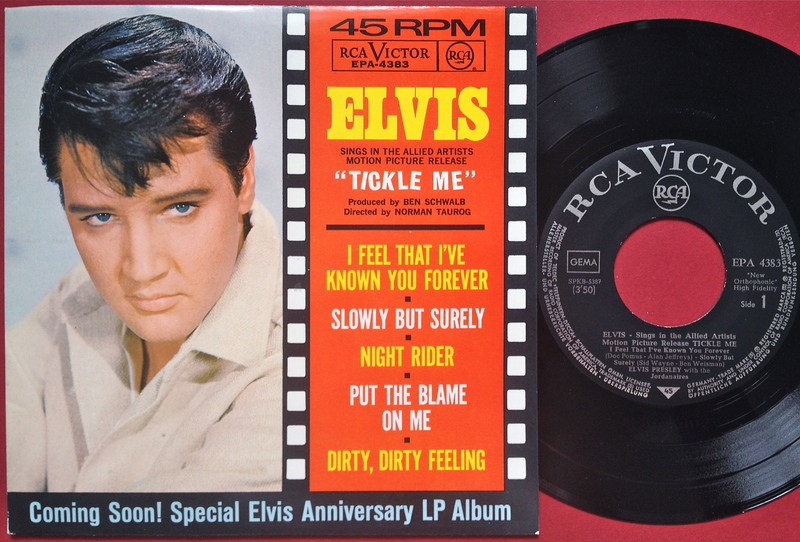 The Elvis Presley EP “Tickle Me” hit #70 in the U.S. Tickle Me used existing Elvis songs rather than new songs and RCA released 2 Extend Play singles, with the format falling out of favor. There were 2 EPs from for Tickle Me and in 2005, the movie got a full CD soundtrack with bonus tracks. London’s The Catholic Herald newspaper ran an editorial describing John Lennon’s recent “bigger than Jesus” remark as generally accurate but “arrogant.” Meanwhile, L’Osservatore Romano, the Vatican newspaper of record, accepted the public apology Lennon made a few days earlier. Little Anthony & The Imperials, The Shadows and The Castiles (with Bruce Springsteen on vocals) all appeared at the Surf ‘n See Club in Seabright New Jersey. All UK offshore pirate radio stations were closed down when the marine broadcasting act came into force. Radio Caroline continued to broadcast until March 68. The first day of the three day UK Yorkshire Folk, Blues & Jazz Festival at Krumlin, Yorkshire took place featuring Atomic Rooster, Pink Floyd, (who didn’t appear after being fog bound at Paris Airport), The Kinks, Elton John, Mungo Jerry, Yes, Alan Price, Georgie Fame, Juicy Lucy, Pretty Things and The Groundhogs. Weekend tickets, £3. Elvis Presley’s single “The Wonder Of You” was certified gold by the RIAA. 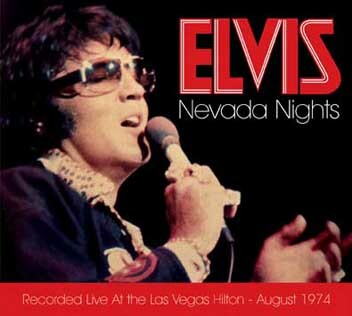 Elvis did Dinner and Midnight Vegas Shows; Elvis complained he was coming down with the flu. The date for the Elvis: Aloha From Hawaii concert is pushed back to January 1973, due to the upcoming release of Elvis: On Tour. Paul Anka‘s duet with Odia Coates, “You’re Having My Baby”, is awarded a Gold record despite its denouncement by feminists who object to the use of the word “my” as in “my baby”, not “our baby.” The record buying public feels differently as the song climbed to #1 in the US and #6 in the UK. 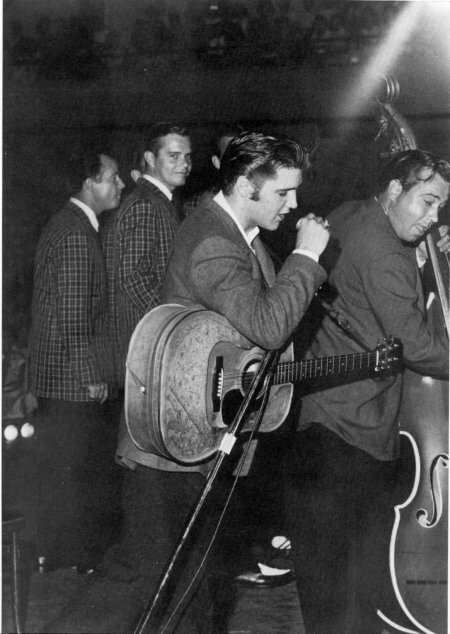 Elvis held three days of rehearsals at RCA’s Sunset Boulevard studio, running tonight from 7.00 [p.m. until 1.20 a.m. and continued on the next tow night from 9.00 p.m. till midnight. Cliff Richard‘s biggest US hit, “Devil Woman” entered the Billboard Top 40 where it would reach #6. A huge star in his native UK, Richard achieved nine US Top 40 entries, including “We Don’t Talk Anymore” (#7 in 1979} and “Dreaming” (#10 in 1980). Elvis and Ginger went motorcycling with cousin Billy and Jo Smith. The BBC recording of the Royal Wedding of Prince Charles and Lady Diana reached #1 on the UK album chart. Judge Joseph Evans orders that Elvis’ estate does not have to make any more payments to Col. Tom Parker, ending his 36 year hold on much of the King’s finances. The DVD “Elvis Thru the Years” was released. 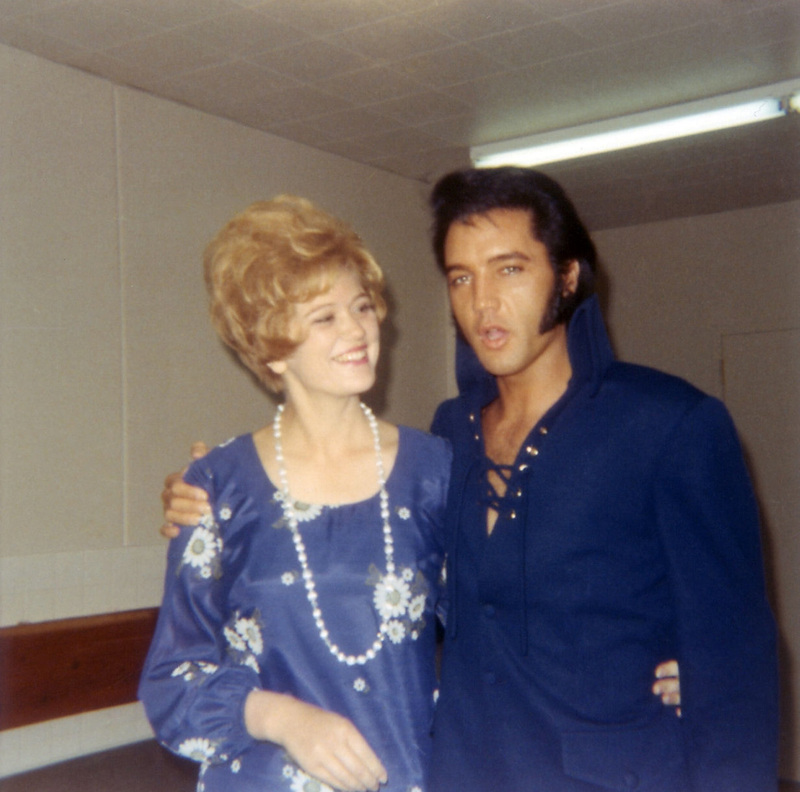 The DVD presented the life of Elvis Presley through rare film footage, press conferences, behind-the-scenes feature, movie trailers, news clips, and comedy sketches to commemorate the 30-year anniversary of the Elvis’ death. Paul McCartney led the final event held at San Francisco’s Candlestick Park before it was to be torn down to make way for a housing, retail and entertainment development. Ringo Starr became the first Beatle to become a great grandfather when his granddaughter, Tatia Starkey, gave birth to Stone Zakamo Low. Tatia is the daughter of Ringo’s son Zak Starkey. 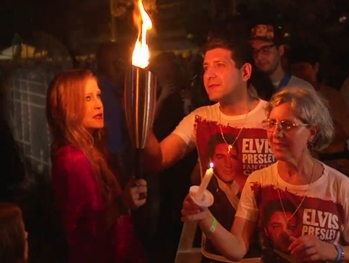 Collectors from around the world gathered at Graceland in Memphis, Tennessee to bid on pieces of Elvis Presley for the 40th Anniversary Elvis Week commemoration, with 315 items sold in the August 12 auction selling for over $1.6 million. 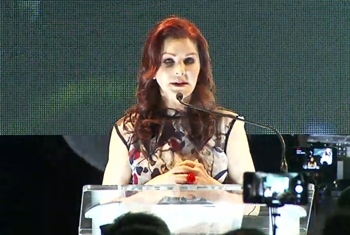 All of the 315 items offered came from third-party collectors and not from the treasured Graceland Archives owned by Lisa Marie Presley. Featured Elvis Reference Site: Elvis Information NetworkELVIS WEEK 2017 – DAY 3– EIN exclusive report: ‘C’mon Everybody’ and watch out Memphis because Sanja Meegin, EIN’s roving reporter, is back in the Promised Land once again to give us all the inside scoops on Elvis Week 2017. This is Sanja’s 18th visit to Memphis and Elvis Week, and today she checked out the alternate ELVIS Collectors’ Fairs getting time to meet up with Jimmy Velvet, Nancy Rook and Elvis photographer Keith Alverson along the way..
wreg.com MEMPHIS, Tenn. — A gold record, photos and jewelry are among the more than 200 items sold at an auction of memorabilia related to late ..
What was Elvis Presley’s cause of death? Elvis Presley. Although the anniversary of his death is not as universally recognized as years past his impact on the world has not diminished. Thomas Edison finished designing his phonograph and gave the plans to mechanic John Kreusi to build. A skeptical Kreusi bet Edison two dollars that the device would never work. Elvis performed on tour with The Browns at the Driller Park, Kilgore, Texas. As had often been the custom they traveled at night and slept by day. Traveling with Red West and cousins Gene and Junior Smith, Elvis arrived in the new Lincoln Continental Mark II that he had purchased in Miami at the start of this tour. Elvis performed at the Municipal Auditorium , New Orleans, Louisiana at 4.00 and 8.15 p.m.
Pete Best auditioned to become The Silver Beatles’ drummer and was asked to travel to Hamburg in Germany for the bands next set of dates. Before leaving for Hamburg, The Silver Beatles changed their name to simply, “The Beatles”. 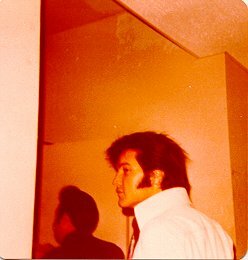 Elvis flew from Tampa to Los Angeles. The Beatles first film A Hard Day’s Night opened in 500 American cinemas to rave reviews. The film was a financial and critical success. Time magazine rated it as one of the all-time great 100 films. The Beatles performed two shows at the International Amphitheatre in Chicago, Illinois. This was the first stop on what would turn out to be The Beatles’ final US tour. Support acts were the Remains, Bobby Hebb, Cyrkle, and the Ronettes. The Beatles‘ “All You Need Is Love”, beginning with the now familiar opening to the French national anthem, “La Marseillaise”, was the best selling single in America. It would top the Billboard chart a week later and reach #1 in nine other countries, including France. Jimmy Page, Robert Plant, John Paul Jones and John Bonham played together for the first time when they rehearsed at a studio in Gerrard Street in London’s West End. The first song they played was a version of ‘The Train Kept A-Rollin.’ They also played ‘Smokestack Lightning’ and a version of ‘I’m Confused’ (soon to become ‘Dazed And Confused’). The first live dates they played were as The Yardbirds, and it was not until the following month when they started to use the name Led Zeppelin. Janis Joplin performs her final concert at Harvard Stadium to a packed house of 10,000. She would die of a drug overdose less than two months later. That’s the Way It Is Production: Elvis did Dinner and Midnight Vegas Shows. The compilation album “Elvis Sings Hits From His Movies, Volume 1” hit #87 in the U.S. It was certified Gold and Platinum on January 6, 2004 by the RIAA. Elvis flew to Los Angeles. The Angola Coach Company sold Elvis Presley’s original former tour bus. RCA and the RIAA presented Elvis Presley’s estate with 110 gold and platinum records. 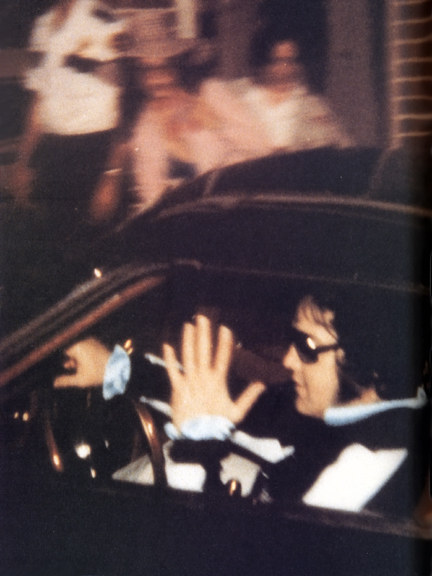 In Memphis, TN, Mobile Graceland began a tour of 31 cities. John Lennon’s killer was denied parole for a fifth time “due to concern for the public safety and welfare.” 53 year old Mark David Chapman, who was being held at New York’s Attica Correctional Facility, had been in prison for 27 years after pleading guilty to the murder, which he has said he committed to gain attention. At Graceland, Priscilla Presley joined U.S. Postmaster General Megan Brennan for a dedication ceremony for the new Music Icons: Elvis Presley Commemorative Forever stamp. L to R: Quintin R. Smith, Pastor, Historical First Baptist Church of Millington; Memphis City Councilman Harold B. Collins; Joshua D. Colin, Vice President, Area Operations, USPS; Memphis Mayor A C Wharton Jr; PMG Megan Brennan; Priscilla Presley; Rep. Steve Cohen; Jack Soden, CEO, Elvis Presley Enterprises; Shelby County Mayor, Mark Luttrell. Photo courtesy USPS. The music CD titled “ELVIS FOREVER” went on sale at select U.S. post offices. Barbara Gibb, mother of The Bee Gees‘ Barry (1946-), Robin (1949 -2012) and Maurice Gibb (1949-2003) and as solo artist Andy Gibb (1958-1988), passed away at the age of 95. ELVIS WEEK 2017 – EIN exclusive report: ‘C’mon Everybody’ and watch out Memphis because Sanja Meegin, EIN’s roving reporter, is back in the Promised Land once again to give us all the inside scoops on Elvis Week 2017. 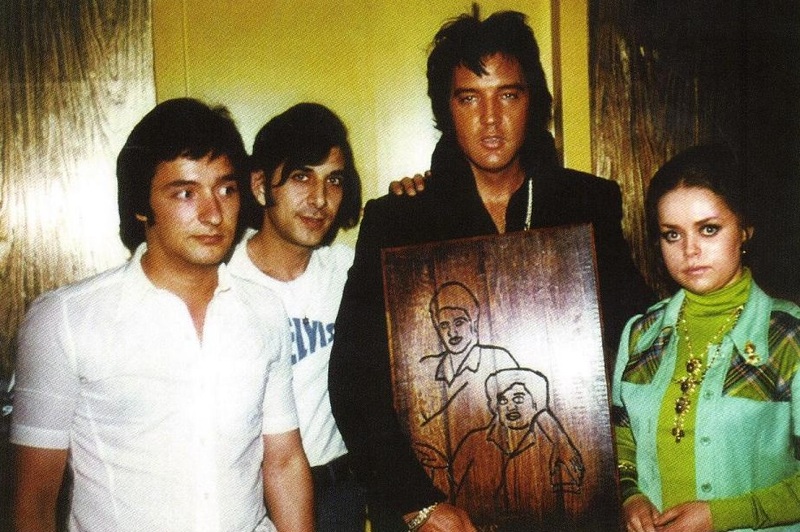 This is Sanja’s 18th visit to Memphis and Elvis Week, and she jetted in to town before everyone arrives later tonight. On the way she checked out Beale Street after warming up in Lincoln, Nebraska and looking for the spirit of Elvis 1956!